set the night on fire. blasphemy of flaws to small to alter fate. Lovely interpretation Keith, thank you so much! I agree, those lines are epic! Incredible Holly! The placement of words offers a deep emotive uniqueness and I love it. Thank you so much, a lovely comment, very appreciated! Fantastic piece, I really enjoyed it. Thank you so much River, I’m so glad you liked this! Merci! Such a lovely comment Ghyslaine. 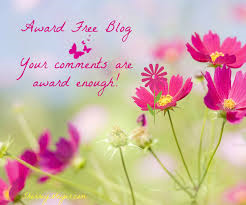 Thank you so much, I’m deeply honored but I decided some time back to designate my blog “award free”, that you thought of me is a beautiful tribute. I’m so glad you like this! I love the power coming from this, Holly. That’s a wonderful comment Syl, thank you. Ah, dear Holly, I see you in Jim Morrison, and he in you. Romance on a stressful journey, a journey through dark and light, truth and lies are all the same in the Crystal Ship. I adored his work, as I do yours. I had a poster of him on my bedroom wall. It was ginormous. All I could see was a bunch of dots. I had to stand out in the hallway to actually get focused. Yeah… he was leather and lace… and then leather and then gone. sigh! Sigh! At least he left the leather. Thank you so much Dennis. Speaking of incendiary I visited your blog to read the latest. It’s anazing. Love it. Thank you for your words of encouragement, Holly. This is a work in progress that seems to have a mind of its own. Chapter 3 has just been posted. I love the pun on alter, very clever Miss Heart and a beautiful poem. Wonderful! Thank for the wonderful comment , nothing slips by you Mr. Cake nor should it. You know I love wordplay and puns and this one is a peach with the profanity, sacred, blasphemy and altar… nice series of contrasting pairs as well. I do know you love play on words Mr. Cake, I’m glad that this appealed to that fondness, that’s very inspiring for me. Thank you so very much ! Well Miss Heart this is very good poem with limpid clarity and dark depths. Thank you Mr. Cake, a lovely and encouraging compliment. Well if writing is about the right word in the right place (whether by design or chance, it doesn’t matter) which it obviously is, then you have nailed. That is what writers and magicians have in common, only the right word said in the right place at the right time. Inspiration and a savvy muse certainly helps. I couldn’t agree with you more, some writers do have the magic touch and you are one of those Mr. C.
Thank you for the compliment, you flatter Miss Heart. I mean this sincerely. BTW, this was in spam, sorry to be late responding. I never doubt your kind sincerity Miss Heart. I’m glad Mr. C. Likewise. Thank you so much for the reblog John! You are welcome so much Holly! Back to you, smiles John! Thank you Mr D, so very appreciated. I suppose so. You always have something interesting to say! This is a “way-off” day. Me a space cadet! Then you’ve come to the right place. Hope you feel better very soon! Thank you Michael, lovely comment, very appreciated! You too, Holly! Your thoughts are so wonderful, and i am always honored for the permission to read. It’s my honor that you visit and leave such wonderful comments Michael, thank you!